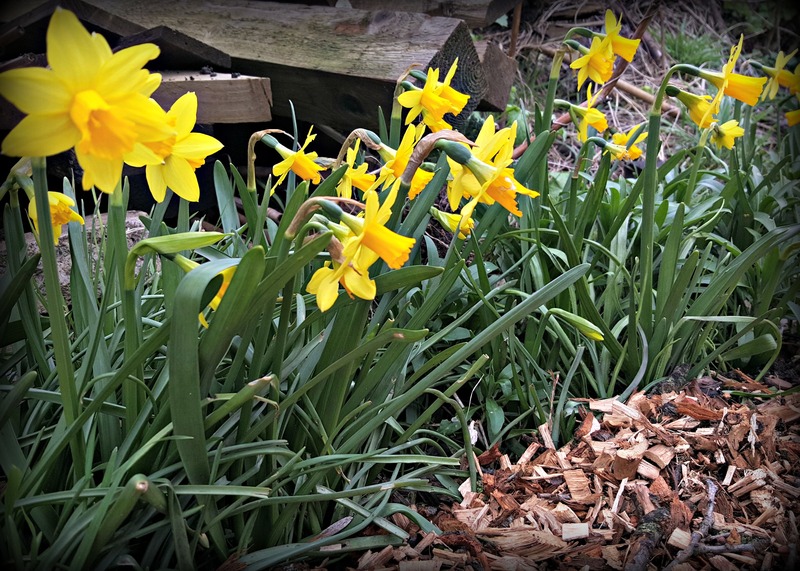 Across the land from parks to allotments, gardens to woodlands, there’s a sound gaining volume; a fanfare from the proud trumpets of daffodils piercing through the soil, heralding spring. I’m sure winter still has a sting in her tail, she’s not done with us yet. But you can’t help but notice the toneless landscapes are finally changing as pockets of Narcissus explode on the scene. This welcome sight tells me we’re at the gates of a new gardening season with so much hope and excitement ahead of us. It’s a journey we all look forward to. Gardening blogs are crammed with tales of sowing, Instagram is brimming with colour and Twitter is almost at breaking point, enticing us to visit all things RHS-related. 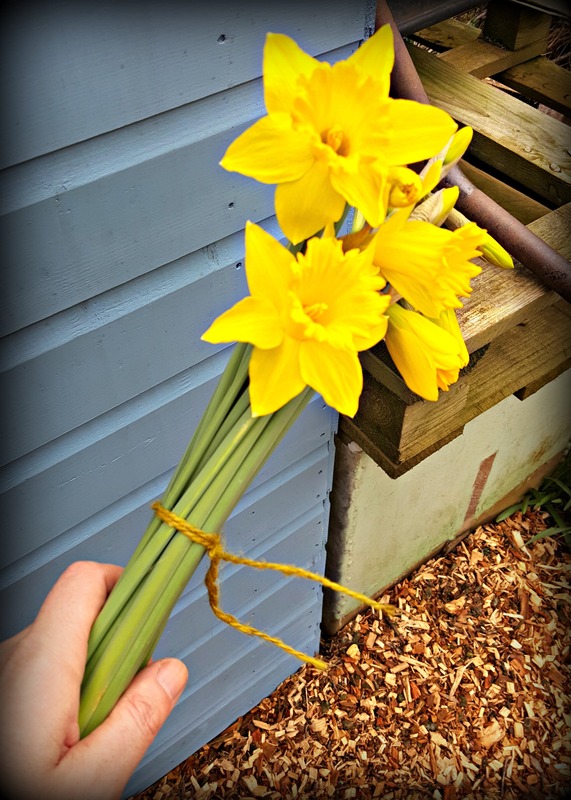 So not to be left out in the cold, I spent my weekend flitting between garden and allotment, getting as much done as I could, while poor Agent Soph was left wondering what had happened to her missing husband. 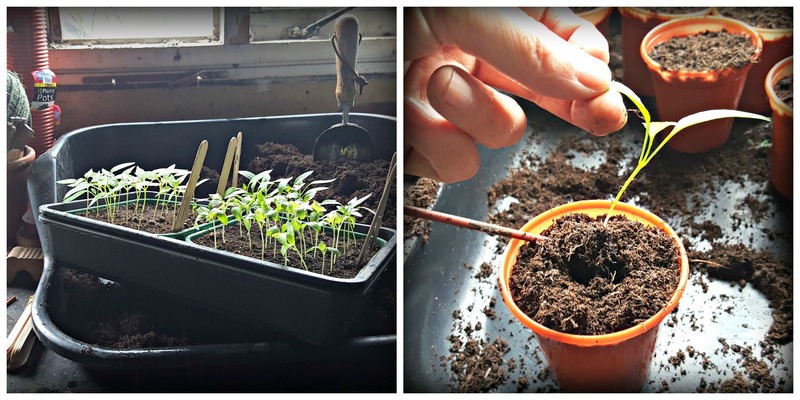 First job, to pot up my pepper, chilli and aubergine seedlings. They have come on in leaps and bounds, and with their true leaves gaining size they were ready to trade up and move into something a little larger. I also sowed some spring onions. I grew some last year and was delighted with the results. So this year, I’ve opted for White Lisbon and a red variety called Furio. They’re easy to grow, need little looking after and the taste is wonderful. Not yet done with the compost, I decided to plant a bag of shallots. They were a freebie from a gardening website, so I was keen to get these growing. However, after last year’s ‘Onion-maggeddon’, where I lost my entire crop of onions to the dreaded onion fly, I planted these in tubs and have left them to grow in the polytunnel. 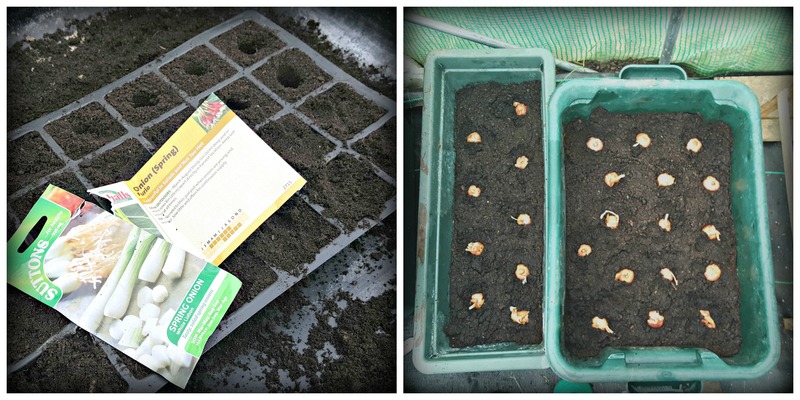 I’m going to try to grow onions on the plot again this year, but this time I’m going to start them off in modules, get a good root system going and when they have some growth and the ground is warmer, I’ll plant them outside.. and firmly cross my fingers. Back from the allotment and straight into the garden, I pruned a couple of my clematis, gave them a feed and mulched them. Then the final job was to pot up my Nerine bulbs, (a lovely christmas gift from Soph’s parents.) I’ve never grown these before, and as an autumn flower they should really add some wonderful pink and white tones to the garden later this year. But then it was onto the last and most important task of the day..
… some cut flowers for my good lady wife, and home. That’s lovely! Hopefully he’ll find his legs for Spring.